Getting close to the finish line, here's Ember Mage, one of the most famous SDE figures. It is a cute one. Note the bit of object source lighting I added on the staff. 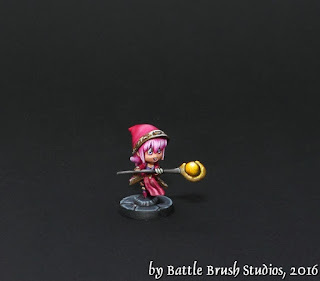 Showcase: Super Dungeon Explore Group Shots!